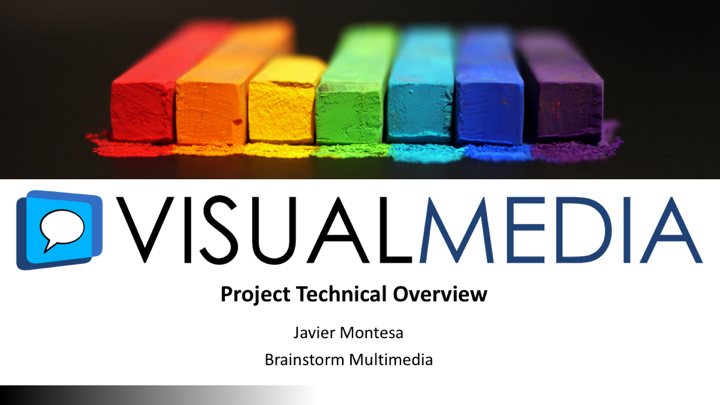 The concept in project VisualMedia is to integrate state of the art in Social Media Engines, innovative 3D graphics capabilities and novel interaction systems into one single solution in order to bring to the market a completely new way to produce interactive TV programs. 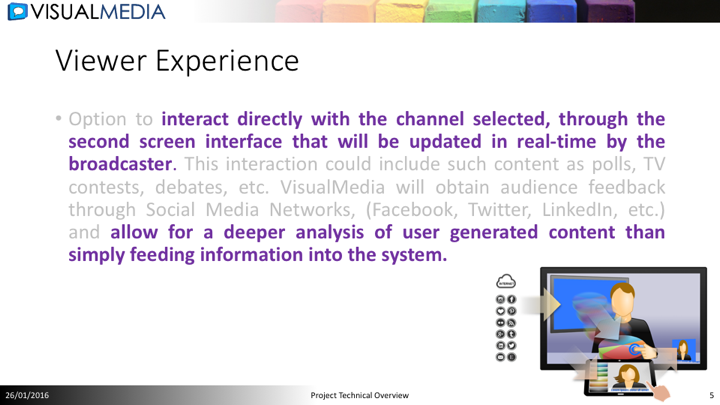 The VisualMedia integrated solution will allow broadcaster to manage information streaming in through social media channels and seamlessly incorporate real time data generated through viewer interaction as part of the audience experience. This is a timely proposition given the trends in consumer expectations and behaviour. 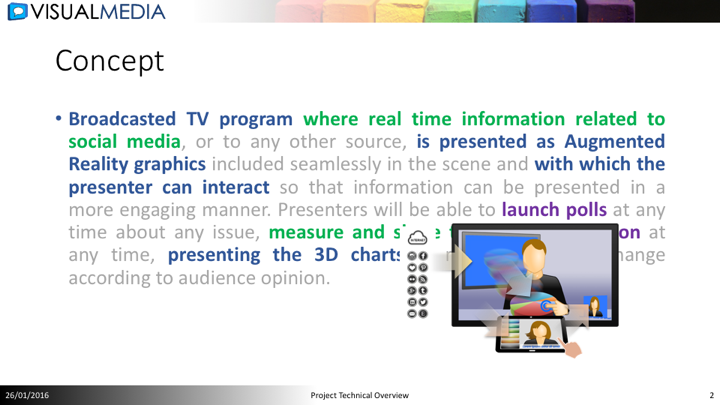 Provide the broadcaster with content, such as statistics, images, messages etc., streaming through social media channels in real-time and the possibility to display this information in a compelling and engaging way such that the presenter can interact with advanced graphical representations in order to improve the experience for the audience. 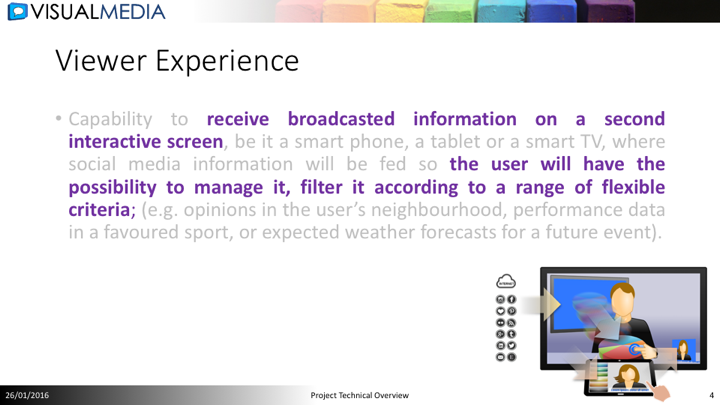 Provide the audience with similar data via a second screen solution, not only for data streaming in through social media channels but also from other sources, for example, election results, sports results, etc., such that the individual user has the opportunity to interact with this information, filter the data received, focus on what is of interest and select the way the information should be displayed on his/her device. 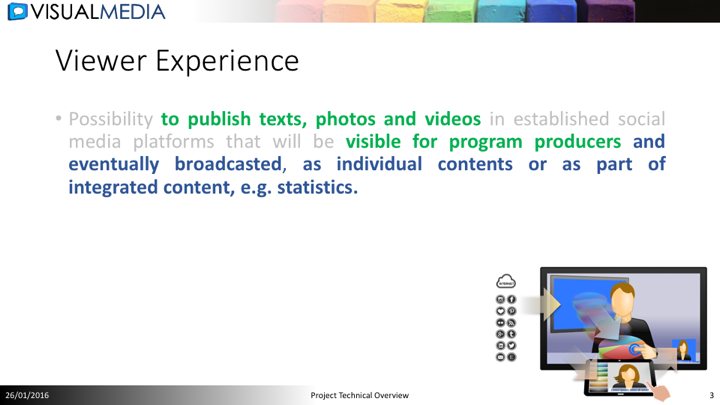 Provide the audience with the opportunity to interact in real-time with programs broadcasted, by publishing content in established Social Media Platforms which will then be immediately available for presentation by the broadcaster, or by participating in polls, or light entertainment formats on a second screen on any smart device.